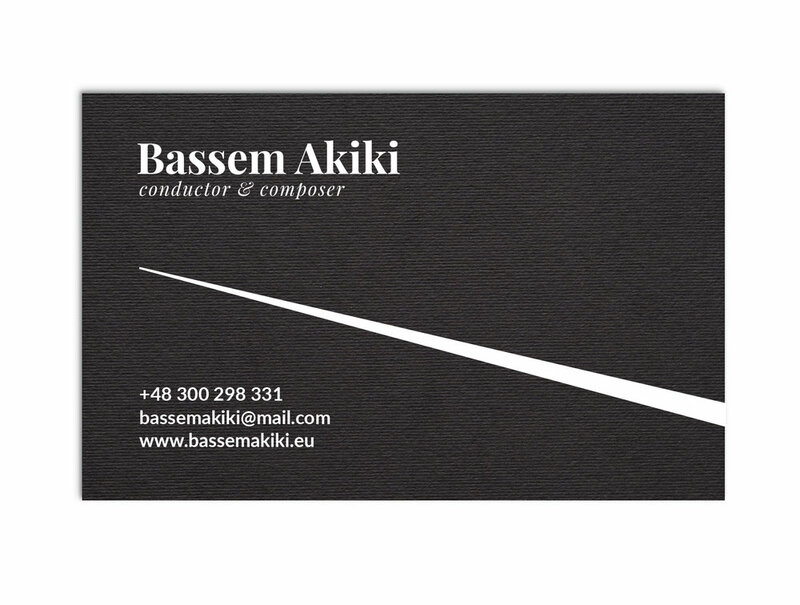 Bassem Akiki is an orchestra conductor of Lebanese origin, living in Warsaw. In 2016 he was nominated for the most prestigious International Opera Awards in the “Young Conductor” category. The artist invited us to design calling cards for him. We wanted to create something that would reflect his personality and his fascination with modern music, therefore we have chosen an eye-catching holographic foil for the reverse. The averse is simple and minimalistic, with the main element being a simplified director’s baton.